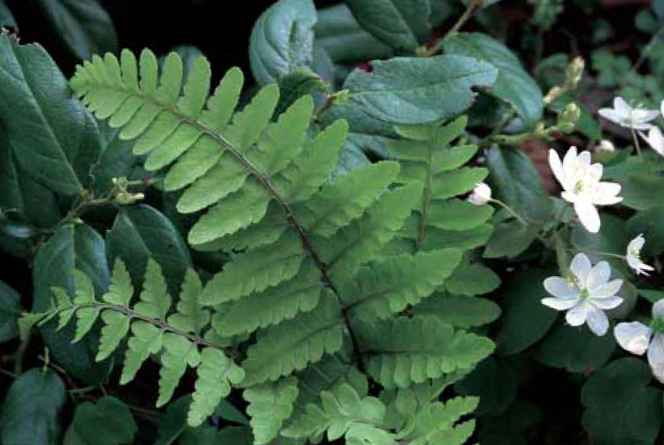 Deciduous, 11/2 to 3 ft. (45 to 90 cm).Zones 6 to 8.
description: The rhizome is short-creeping, producing individual fronds rather than clusters. 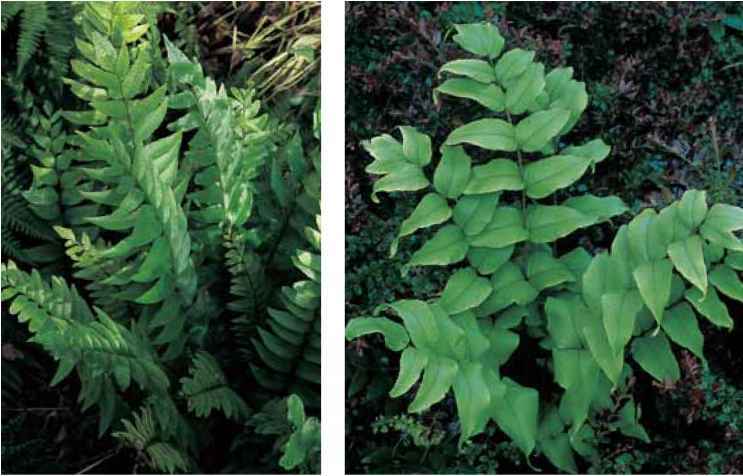 Stipes of up to one-half of the frond length are a lustrous rusty red with a few scattered brown scales. Triangular blades are a feathery tripinnate to quadripinnate with 7 to 10 pairs of pinnae. Sori with J-shaped indusia are one per pinnulet and close to their midvein. range and habitat: This species grows in forests and mountain slopes at high elevations in Japan, Korea, China, Taiwan, and the Himalayas. culture and comments: The large lacy fronds are a visual delight and the whole needs room to display fully. With its creeping rhizome, it may also need to be contained. Give it shade, average soil, and, if possible, a site with backlighting to highlight the color of the stipes. Soft tones of Athyrium clivicola.